In addition to the 250,000 faithful and delegations from 13 of the world’s 15 Orthodox Churches currently celebrating the Baptism of Rus’ in the ancient city of Kiev, delegations from 10 Local Orthodox Churches have also gathered in Moscow to celebrate the feast with His Holiness Patriarch Kirill of Moscow, reports Interfax-Religion. The delegations are representing the Alexandrian, Antioch, Jerusalem, Georgian, Serbian, Bulgarian, Cypriot, Albanian, and Polish Orthodox Churches, as well as the Orthodox Church of the Czech Lands and Slovakia. Among the distinguished guests is His Beatitude Patriarch Theodoros of Alexandria and All Africa, who arrived to Moscow yesterday, and who has a special love for the Russian Church, having lived, studied, and prayed in Odessa for ten years. “It is very important that our brothers from the entire Orthodox world are in Moscow and Kiev now, to testify together with us to our unity on such an important date for the Russian Orthodox Church,” Patriarcla Press Secretary Fr. Alexander Volkov stated. “Let us pray together, share our joys and concerns, and think about how to strengthen the unity of our world Orthodox family,” Fr. Nikolai Balashov of the Moscow Patriarchate’s Department for External Church Relations reflected. In this vein, His Holiness Patriarch Kirill of Moscow noted to the gathered representatives that their support for the canonical Ukrainian Orthodox Church under His Beatitude Metropolitan Onuphry of Kiev and All Ukraine and for the unity of the Russian Orthodox Church at such a time is invaluable. He also warned that, “Attempts to artificially tear the Ukrainian Orthodox Church from the Moscow Patriarchate could lead to a catastrophe of a pan-Orthodox scale,” reports RIA-Novosti. 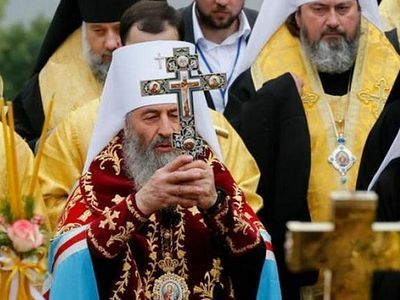 “For our Church, Kiev is as much a holy place as Constantinople or Jerusalem are for all Orthodox Christians, or Kosovo and Metohija for the Serbian Orthodox Church,” the head of the Russian Church added. 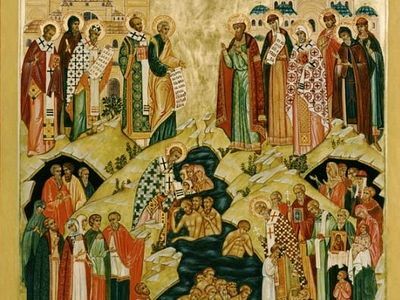 All of the gathered hierarchs and clergy will celebrate the All-Night Vigil tonight in honor of St. Vladimir the Great, the Baptizer of Rus’, headed by the primates of the Russian and Alexandrian Churches. 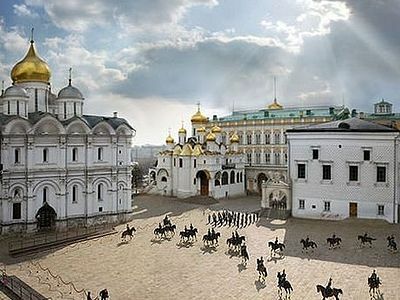 The Divine Liturgy will be celebrated on the cathedral square in the Moscow Kremlin tomorrow. The main event for the upcoming celebration of the 1030th anniversary of the Baptism of Rus’ will be an open-air Divine Liturgy on the Cathedral Square of the Moscow Kremlin.